In United States v. Horowitz, 2019 U.S. Dist. LEXIS 9484 (D. Md. 2019), here, the district court granted summary judgment (i) sustaining the FBAR assessments against husband and wife but (ii) rejected the assessment against the wife for one year because she lacked a reportable relationship with respect to the account upon which the penalty was based. The docket entries are here. A quick overview of the facts: The husband and wife had offshore accounts for a number of years (back to 1988) when he went to practice medicine in Saudi Arabia. They alleged that "their friends told them they did not need to pay taxes on the interest in their foreign accounts." Therefore, they did not. In 1994 they created an account with Union Bank of Switzerland (the infamous, in this context, UBS) and moved some of the funds there. After 2001, they solely had the UBS account, which the husband monitored by calling every year or two, but otherwise did not withdraw or deposit. In 2008, after "reading troubling news articles concerning UBS," the husband traveled to Switzerland to transfer the funds to another Swiss bank, Finter, and close the UBS account. 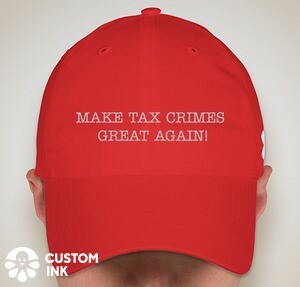 The news, of course, was that the IRS and DOJ were cracking down on UBS' crimes in assisting U.S. taxpayers evade tax. Readers of this blog should know that trajectory for UBS. For the account at Finter Bank, husband tried to set up the account as a joint account, but Finter by then somewhat circumspect about helping U.S. taxpayers cheat would not do so without the wife's presence. He then tried to give her authority over the account, filling out the paperwork but not having her sign (she was not present). Hence, he was the person with sole power to deal with Finter until 2009 when she signed the documents to make her joint owner (although, it appeared to me she was the beneficial owner of one-half the account). The Finter bank account was a numbered account with "hold mail" instructions. The Horowitz's filed tax returns answering the Schedule B foreign account question "No" but did finally file their first FBAR for 2009 identifying the Finter account. At some date (presumably before the due date for the 2009 FBAR), the Horowitz's joined OVDP and filed FBARs for 2003 through 2008 and 1040Xs for 2003 through 2008. (The Court notes in a footnote, p. 9 n3 that "Curiously, in their Answers, the Horowitzes had denied that he participated in the program or even was aware of the program. P. Horowitz Ans. ¶ 25; S. Horowitz Ans. ¶ 25.") There is no discussion, but I presume that the Horowitz then opted out of the OVDP penalty structure and underwent the opt out audit. The IRS then asserted and assessed the willful FBAR penalties for two years--2007 and 2008. There is some discussion of administrative commotion about whether the penalty was prematurely assessed while the Horowitz pursued an appeal. Basically, the Horowitzes asserted untimely assessment because, they asserted, the IRS withdrew the timely assessments and then made a replacement assessments after the statute of limitations barred the assessments. The Court rejected that argument, so I won't deal with it hear (the recitation of facts and conclusions suggest that it is one off and likely not to recur). The Horowitzes argue that their friends told them they did not need to pay taxes on the interest in their foreign accounts. Maybe so, but their friends' credentials are not before the Court, nor is there any information from which I could assess whether it was reasonable for them to have accepted what their friends told them as legally correct. And, in any event, their friends' views would not override the clear instructions on Schedule B, which, as noted, requires a "Yes" answer if the taxpayer has an interest in a foreign account, regardless of whether the funds within it constituted taxable income. Moreover, the fact that the Horowitzes discussed their tax liabilities for their foreign accounts with their friends demonstrates their awareness that the income could be taxable. Their failure to have the same conversation with the accountants they entrusted with their taxes for years, notwithstanding the requirement that taxpayers with foreign accounts complete Part III of Schedule B, easily shows "a conscious effort to avoid learning about reporting requirements." Williams II, 489 Fed. App'x at 658 (quoting Sturman, 951 F.2d at 1476). On these facts, willful blindness may be inferred. See Poole, 640 F.3d at 122 ("[I]n a criminal tax prosecution, when the evidence supports an inference that a defendant was subjectively aware of a high probability of the existence of a tax liability, and purposefully avoided learning the facts pointing to such liability, the trier of fact may find that the defendant exhibited 'willful blindness' satisfying the scienter requirement of knowledge." (quoted in Williams II in the context of civil liability)). Thus, even without the additional evidence that was present in Williams II, I find based on these undisputed facts that the Horowitzes recklessly disregarded the FBAR filing requirement. See Williams II, 489 Fed App'x at 659. This suffices for a finding of willfulness. See id. ; Safeco, 551 U.S. at 57.